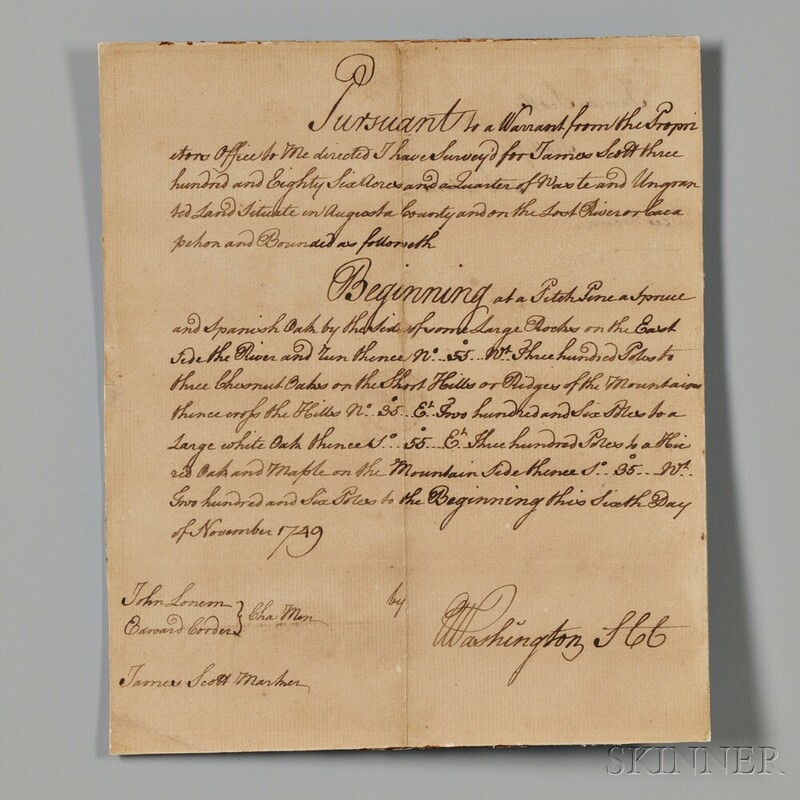 Washington, George (1732-1799) Signed Autograph Survey, 6 November 1749. 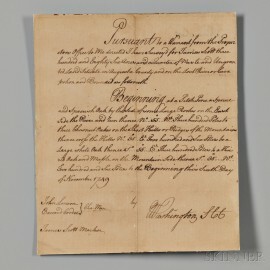 Washington, George (1732-1799) Signed Autograph Survey, 6 November 1749. Single leaf, laid paper, representing the text of the survey only, without the plat. The survey was prepared for James Scott of Augusta County, regarding 386 and a quarter acres of waste and ungranted land in the county along the Lost River of Cacapehon; signed by Washington in the lower right corner; in the bottom left corner, Washington identifies his "chain men": Edward Corder and John Lonem; James Scott is identified as marker, boned, mounted, vertical break along the center fold, offsetting from the compass rose from the missing plat visible, 7 1/2 x 6 1/4 in. This survey was completed when Washington was only eighteen years old. The National Archives mentions this survey, noting that it has been hitherto unlocated.